There are only twelve days left for the Full Circle podcast proposal! Head on over to the thread on UbuntuForums and take a look! Want to write for Full Circle? 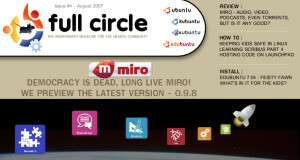 full circle – the podcast ?